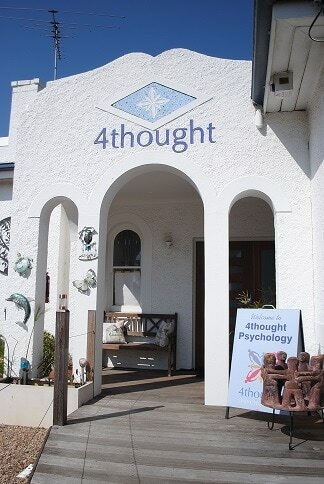 Our priority at 4thought psychology is to personally put you into contact with the therapist who matches your needs with their experience and expertise; and importantly that the style of the therapist suits you and the way you will want to work. When you call the practice you are able to speak with a psychologist at the practice or our Practice Manager Michelle Acreman who is trained specifically to match clients’ needs with practitioners in or out of 4thought psychology. If we do not think one of our practitioners is the best person for you, we will suggest who we think is, outside the practice. * If you are eligible for a Mental Health Rebate, please see Rebate Information. You need to organise this with your GP, Psychiatrist or Paediatrician and have the assessment and paperwork to bring to your first appointment. You will not be able to receive any rebates through Medicare unless you have seen your GP prior to the appointment with a psychologist. Our 4thought receptionists will ask you to share a brief background to your concerns and only to a level that you are comfortable with. A practitioner will be referred and a session time found. We endeavour to make any waiting time minimal as there is a sensitivity of the timing of when someone calls. It can take a long time to build the courage or organise the time to prioritise your needs and make the call. When you call you are ready to make positive changes to often a longstanding problem that you want to address now.